Hundreds of thousands of fully licensed songs, including all the classics, the latest hits, and new discoveries to choose from and share. 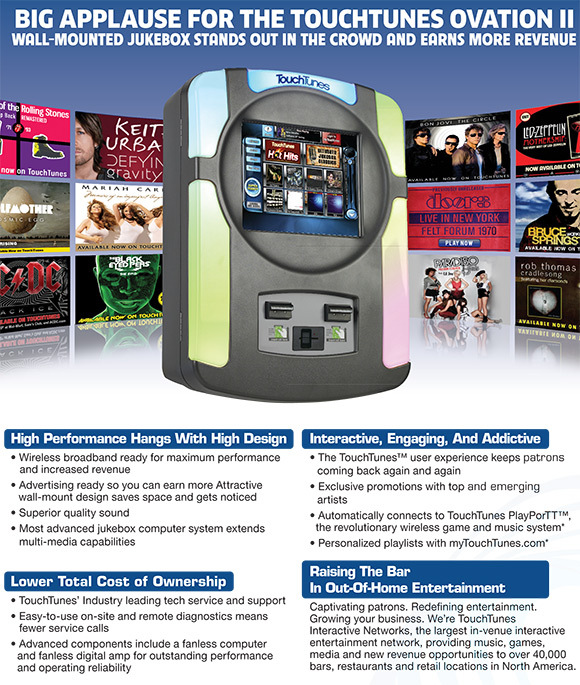 The #1 Jukebox Mobile App! Over 2.7 Million Downloads. Available free on iOS (Download Here) and Android devices (Download Here). Keep the Party Going! 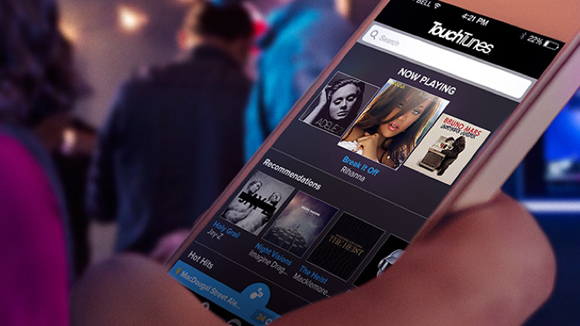 TouchTunes offers a selection of themed background music channels for locations to choose from. The Allegro MX-1 took the award-winning Allegro brand to the next level, adding state-of-the-art sound and integrated, multi-zone amplification. It also introduced practical features such as transport handles, a smaller footprint, intuitive cabling connectivity and a rear-door service tray, all while requiring minimal operator management time. Incorporating operator feedback, the Allegro MX-1v is better than ever, with dozens of enhancements and new features. From a tilted display for easier viewing to a standard interior service light and integrated Digital Sound Processor, the new Allegro MX-1v is better than ever and will help you stay ahead of the curve for years to come. The Allegro MX-1v's computer is now equipped with a Digital Sound Processor which automatically optimizes the output curve of the Zone 1 amplifier. This same amplifier is also used to power the TouchTunes PerforMax Quad Sound System, and up to ten PerforMax Quad Sound Systems can be daisy- chained off Zone 1 to fill even the largest locations with great sound. 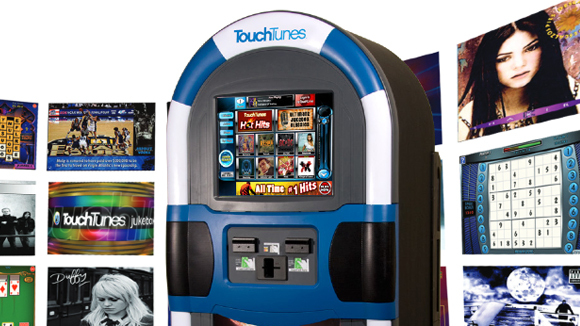 Before patrons can enjoy the best sounding jukebox in the industry they need to pick their favorite song. We've made that even easier with our new real- time recommendations. Recommendations appear throughout the patron's experience, while they are browsing albums and at the end of their session. Velasquez Automatic Music Company, Inc. (VAM) is Chicago's leading family owned coin operated Amusement Company. Founded by Arturo Velasquez in 1936, VAM has served businesses in the city and surrounding suburbs for more than 70 years.